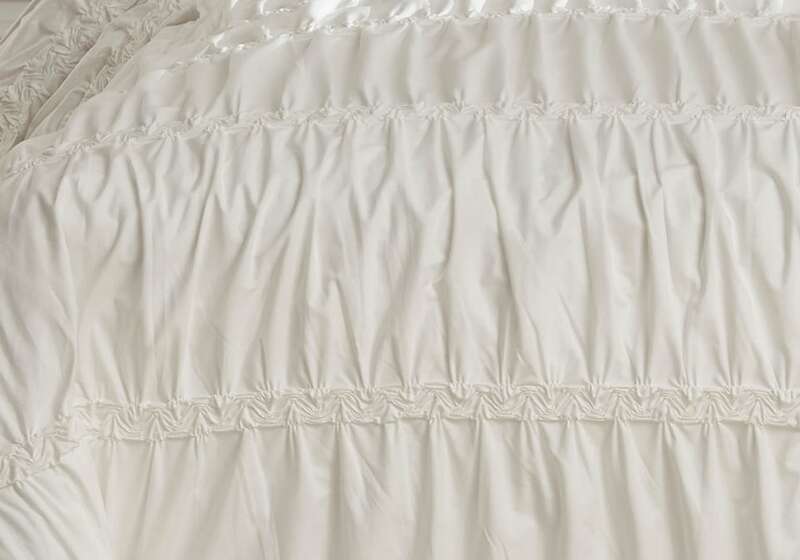 Ruffled and romantic, the Bently duvet cover set is simply a dream. Indulge your desire for a cottage quaint or shabby chic retreat with this fresh spin on a timeless classic. 2-3 Piece Duvet Cover Set – Includes Duvet Cover and 2 Shams (1 for Twin) Insert not Included. Solid Gathered Rouched Design in White. Cotton. 200 TC. Machine Washable.